1500 CC, Manual gear shift. 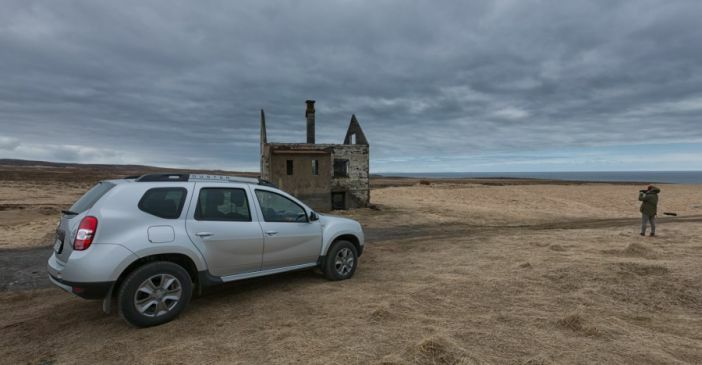 Brand new Dacia Duster with a really fuel efficient Diesel engine and a 6 gear manual transmission. 5-6L pr.100km, bluetooth and usb compatible. GPS, baby chairs and more accessories available to be purchased separately. Let me know where you are staying in Reykjavik and I can pick you up and bring you to the office where we will take care of the contract and look over a map and I'll give you some tips if you'd like. Great car in a perfect shape. Friendly and very helpful staff. Would rent again! The rental was easy going. The owner of the car was very quick in responding to any questions. The car was in good shape. It was an old car, but it did what it should, driving 90 km/h in Islandic roads. Great car, very easy on fuel, only thing I was missing was cruise control. Everything worked like a charm. Great car, great service. Jon Oli and his staff were really service minded and helpful. Would absolutely rent a car from them again! Our only problem was that the car didn´t have cruise control, which was a bit annoying when driving for many hours per day. The car was perfect to discover Iceland even with storm conditions (velocity of wind 29 m/s, snow, ice). I recommend this car. great car & helpful owner. Highly recommended! If you don't plan on getting off the main highway. This is a great fuel effecient vehicle at a reasonable price. Bluetooth and USB charging were nive features. Thanks to Jonny and his colleagues for a good experience in Iceland. The car exceeded expectations and was clean, comfortable and suited to the roads. In the event the F roads were still closed (16th June) but the car would have dealt with them I am sure. Communication with the owner was very good. The car is new and there were no problems at all with the car. I am very satisfied. Everything was fine, the car was waiting for us at the airport and ready to go. We had a problem with a flat tyre but was solved quickly, we were very pleased. Incredibly kind and reasonable people, inexpensive, and we had the best time traveling with the car. Huge huge thank you !! Jón was very nice and helpful. He brought the car to our hostel and let us leave it at the airport which was a big help considering our early morning flight. The car was great, cozy, warm and we had a great time travelling with it! Car was great (free upgrade), in perfect condition. It was very helpful receiving ideas for sites to see in Iceland as well, and vehicle pickup/dropoff was easy and convenient.